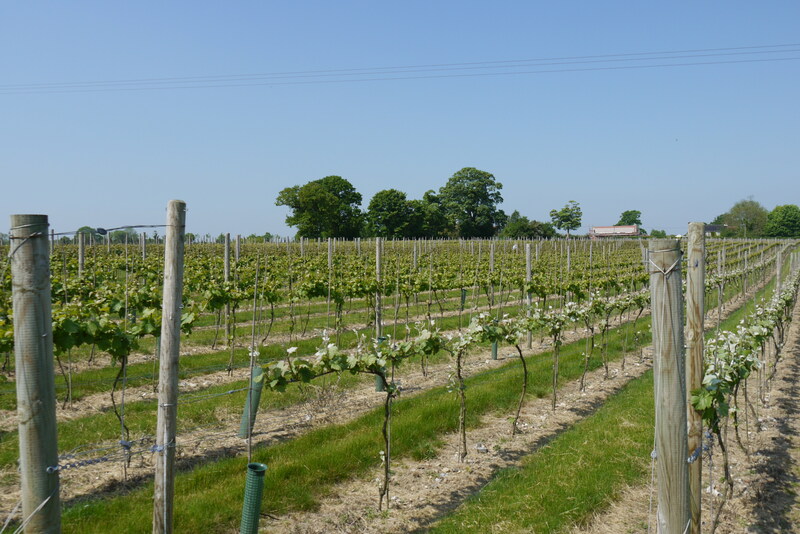 #NFDF2014 visit to @Winbirri – just in time to celebrate @englishwineweek from 24 May to 1 June. English Wine has seen a welcome renaissance over the last 60 years. Along with the development of cool-climate grape varieties, it has benefited from modern wine making techniques and substantial investment in new vineyards and wineries. As a result, some English Wines now rank among the best in the world. Norfolk might not be quite as warm, or as rolling, as the South Downs or Cornwall but we do have plenty of sunshine. And while we have yet to produce a world beating vintage, we do have a growing number of professional growers and makers who are passionate about creating great tasting wines. One of these is Lee Dyer, who runs the Winbirri Vineyard in Surlingham – and I had the pleasure of meeting him as part of my #NFDF2014 exploration of Norfolk food and drink. If you haven’t visited Surlingham, you must. It’s a beautiful, virtually unspoilt corner of our county just 6.5 miles outside Norwich. Tucked away in a bend on the south side of the River Yare, between Bramerton and Rockland St Mary, it is quintessentially English with its gently rolling fields, narrow lanes, high hedges and pretty red brick and flint cottages. It’s also a very old settlement, tracing its roots back to Anglo Saxon times – which is where the name Winbirri comes from, being Anglo Saxon for Vine Orchard. For those of you passionate about wildlife, the RSPB runs a small but delightful nature reserve called Surlingham Church Marsh. While on a food related note, the village is home to Orchid Apiaries, which produces exquisite local honey (including my favourite, The Wherryman’s Honey, which is dark and rich with a hint of toffee) and Yare Valley Oils. On a warm summer’s day (such as it was when I visited) you can see hare in the fields and, if you are lucky, marsh harriers swooping overhead. Not being one to do things by halves, Lee enrolled on an intensive wine course at the renowned Plumpton College in East Sussex. “When they say intense, they mean it. We were studying 13-14 hours a day and some of the chemistry was PhD level stuff – in fact, successful wine growing is as much about the science as it is about the art of viticulture. The three most popular grape varieties with English vineyards are Chardonnay, Pinot Noir and Bacchus. This last one is rapidly gaining a reputation as the English Grape – much the way Sauvignon Blanc is now associated with New Zealand and Chardonnay with Australia. Lee grows all three, along with 11 other varieties including Pinot Meunier (one of the three ‘noble’ varieties, along with Pinot Noir and Chardonnay, used in the production of traditional Champagne). There are three reasons for growing so many varieties. Each one flowers, fruits and ripens at a different time – so you can stagger the harvest (an important consideration in such a labour intensive industry). Different flowering times also mean you are less likely to lose your entire harvest to a bad spell of weather. And the range of grapes, with their different sugar and acidity levels, gives the vintner more scope to blend wines with specific characteristics. 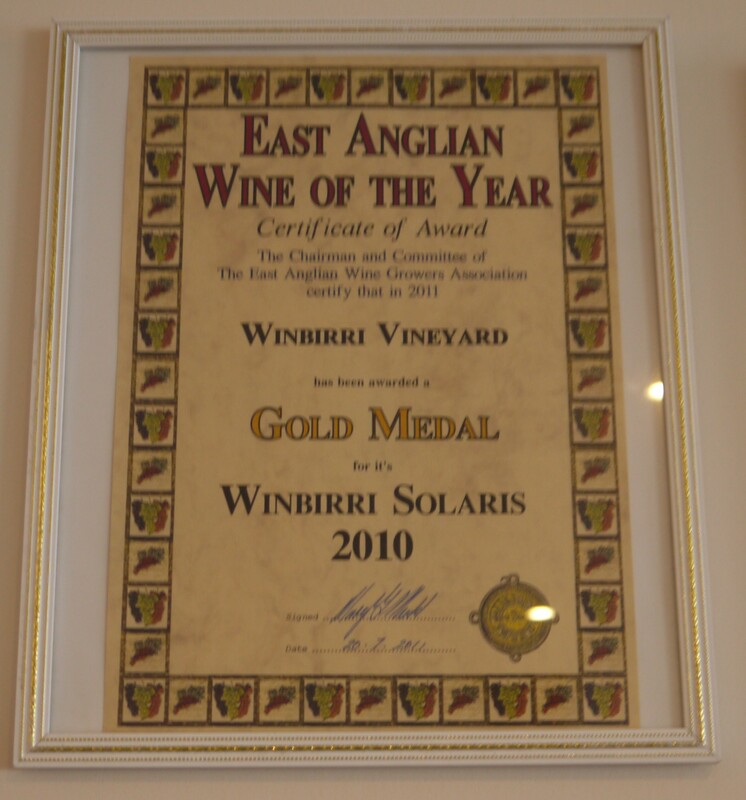 About 50% of Winbirri’s wine is white (including Bacchus, Solaris and Seyval Blanc), 20% is their premium sparkling (which is bottle fermented in the traditional way – first invented by an Englishman called Christopher Merret) and the remaining 30% is red or rosé. When I visited Lee, we were a bit early in the day for wine tasting. However, I had enjoyed a few sipps (sadly only a few as I was driving) of both the sparkling white and rosé when I visited the Maids Head in March and can tell you they are excellent. Considering Lee and his father still work full time on the Mr Fruity business, it’s amazing they have any time for the vineyard but as Lee admits, “it’s become a passion.” This is just as well because the work seems never ending, starting with pruning in winter. Lee uses the traditional Double Guyot system, which involves cutting back the vine to two strong shoots close to the main stem. Once the shoots start growing in February/March he bends them over and ties them to horizontal wires. The grape bunches then form along these two arms. The vines then continue growing upwards, producing what is called the canopy. The canopy is where most of the photosynthesis takes place – so it’s vital for the growth of the grapes but it also has to be controlled otherwise the grapes won’t get any sunlight to ripen. During the summer Lee has to tuck the growing canopy into wires above the vine – he also has to knock off any buds growing on the lower part of the vine to prevent wasted growth. When the canopy is at an optimal height (about six foot) he has to trim it along the top and sides – this effectively stops further growth (although it may take two or more trims) and encourages the vine to put its energy into the grapes. Good canopy control is also essential to preventing disease, such as powdery mildew. “It’s important to keep the air flowing freely around the vines, particularly during the humid months of July and August,” explains Lee. Planting the vines in the largest field was a scientific exercise in itself. “The spacing of the vines, the distance between the rows and the height of the canopy is all carefully calculated to maximise yield and minimise disease. Everything has to line up exactly – so we employed a specialist German company who used the latest laser guided, GPS navigated machines to plant the vines. We also had to hammer in 4,000 metal posts and link them up with over 96km of wire. As well as being hard work, growing vines and making wine takes patience – a lot of patience. It takes three years for the vines to start producing mature grapes. It then takes another two years to make the wine, including a year in stainless steel fermentation tanks – three if you are making sparkling wine because the bottle fermentation takes a further 18 months. Payback on your investment can be upwards of 10 years. 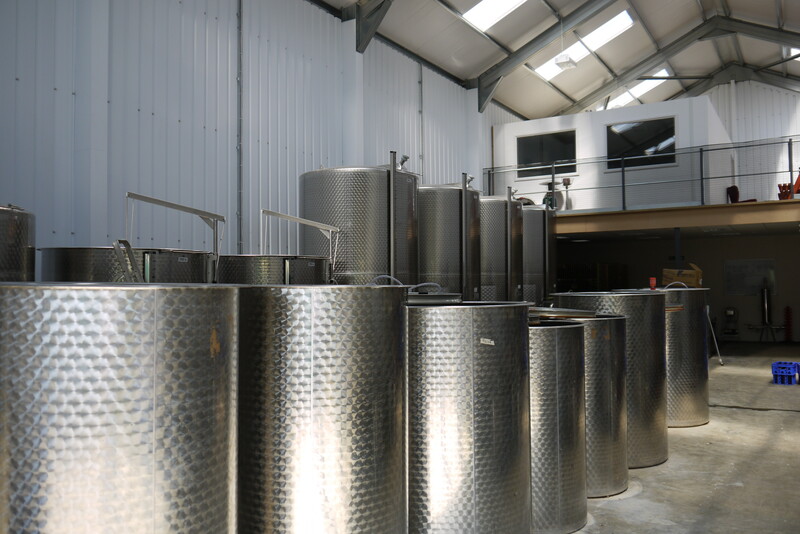 When Lee and Stephen first started making wines, they simply had a small shed and a few tanks. But with the new fields coming into production, they invested in a new winery that is the height of a three storey house and the length of two buses (my estimate). 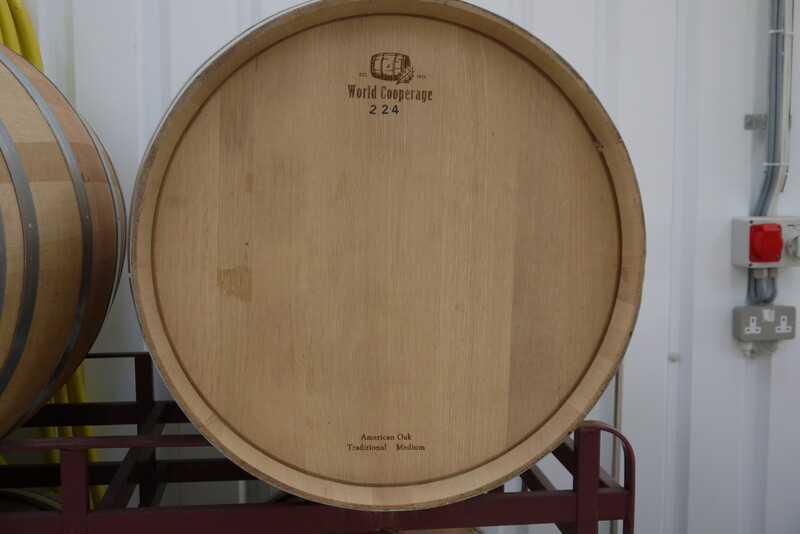 As well as the presses, shiny tanks, lovely American Oak barrels and racks of bottled wine, it comes complete with a tasting room and viewing gallery for visitors. “We have volunteer days during the harvest, when local people and visitors from further afield can help out with grape picking. They tend to be interested in the whole business of growing and making the wine – as well as enjoying drinking it. 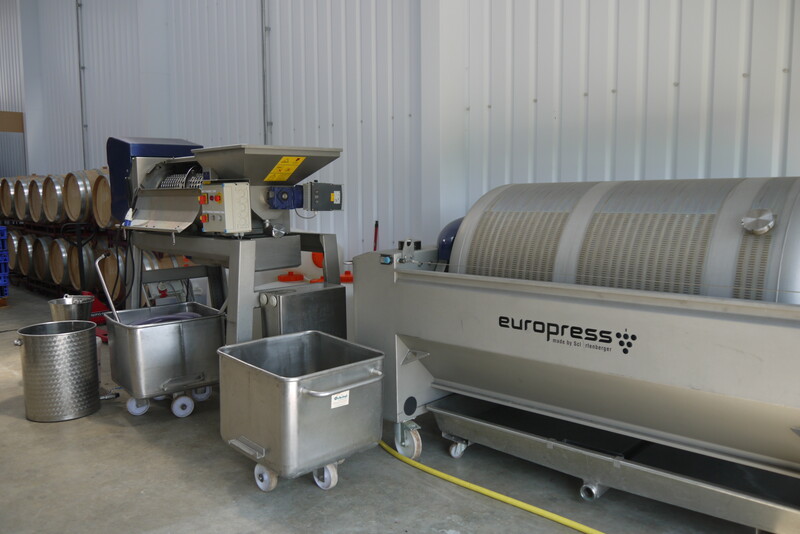 We provide them with lunch and supper, when they can enjoy a glass of wine and watch us processing the grapes they have picked. Of course, they can also buy our wine – and tell their friends how they helped make it. “We also give guided tours to parties of 10 to 30 people at a time. These go into a lot of detail and take between two and three hours – but that’s because I like to give them their money’s worth. At £10 a person it’s a great day out for locals, tourists and teams of employees – and it includes a delicious lunch, featuring local delicacies such as Mrs Temple’s cheeses, and Marsh Pig salamis.” If you are interested in organising a trip, just contact Lee – I’m sure you’ll enjoy it. Now that’s a relief – cheers! 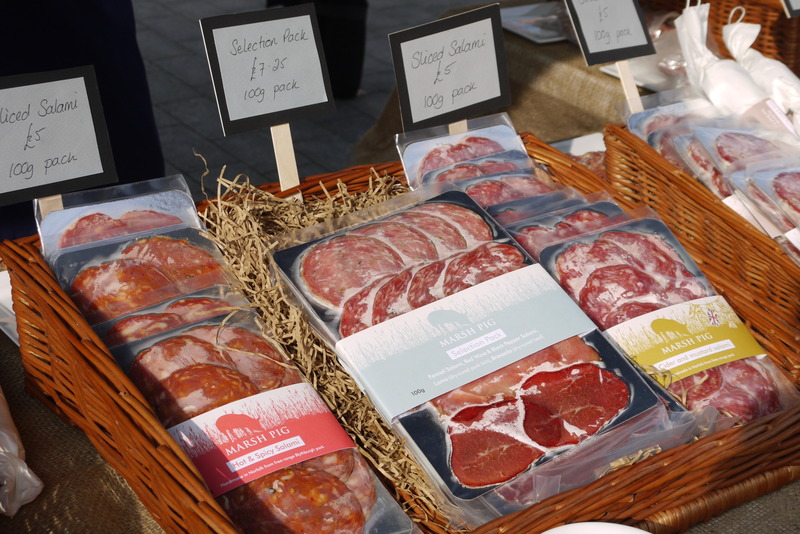 This entry was posted in #NFDF2014, Business, Culture, Local Drink, Local Food, Nature, Norfolk and Norwich, Places of interest, Things to do and tagged #agrichatuk, #BuyLocalNorfolk, #NFDF2014, Cheese, Drink, East Anglia, English Wine Week, Food, Honey, Vineyards, Wine by Huw Sayer - Business Writer. Bookmark the permalink.